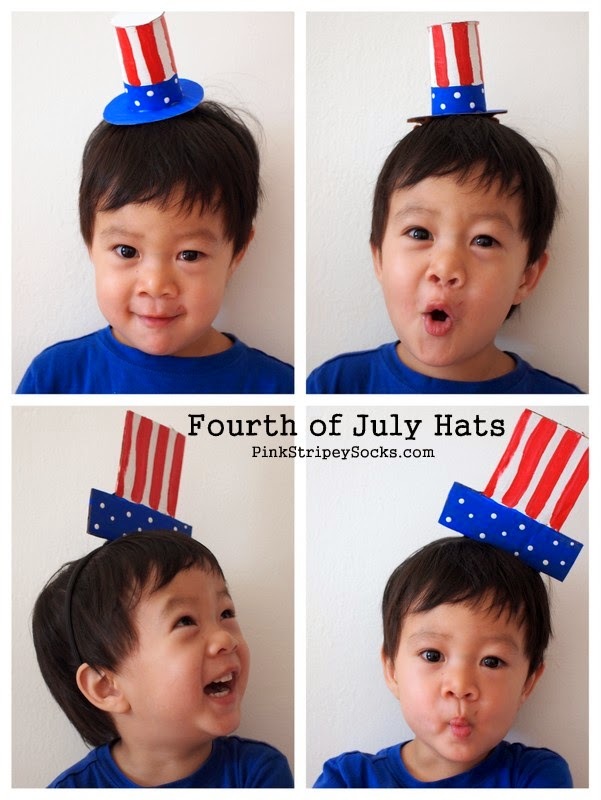 Let's Make Fourth of July Hats! This first hat is SUPER EASY to make. It's my flat Fourth of July Hat. 1. Doodle an image of a hat on a piece of paper. Then, cut it out. 4. Grab a pipe cleaner (preferably the same color as your hair) and cut it in half. Then, stick both pipe cleaners into the holes on the bottom of your hat. 5. 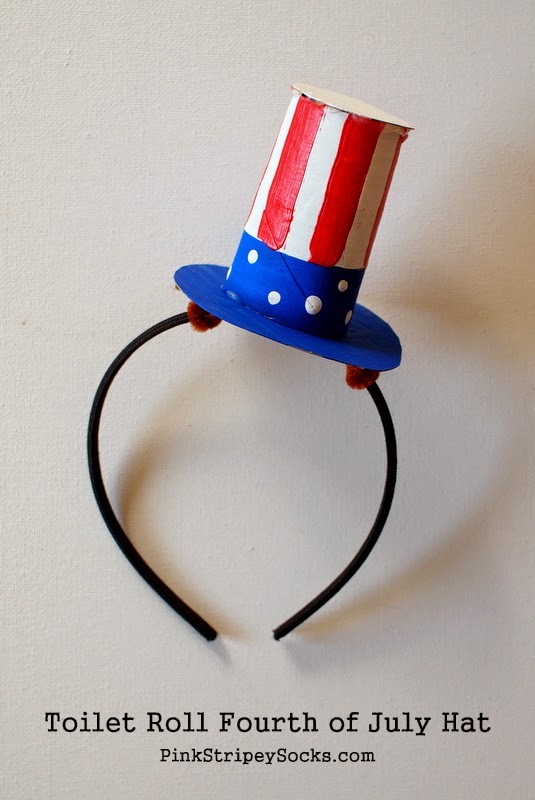 Use those pipe cleaners to secure the hat onto your headband and you're done! The 2nd headband hat is also SUPER EASY to make. 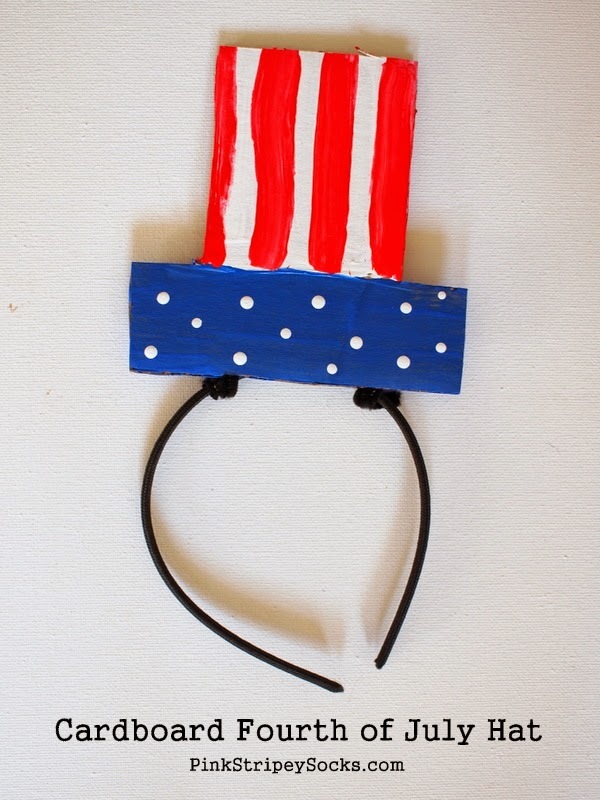 It's a cardboard toilet roll Fourth of July hat! 1. 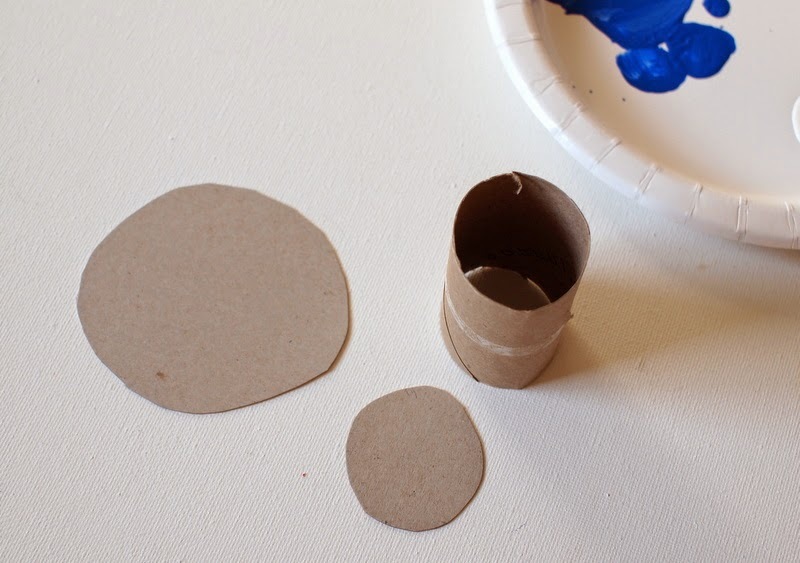 Take a toilet paper roll and cut it to your desired length. 3. Trace out a larger circle to be the brim of your hat. Cut that larger circle out. 4. Paint your hat pieces! 5. 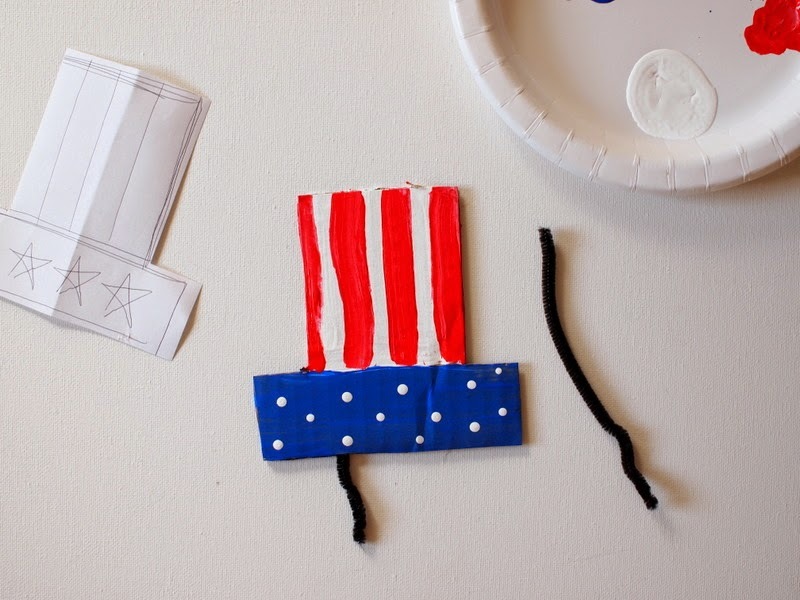 Hot glue your painted hat pieces together. 6. Trim off any excess from the top circle as needed. 7. Cut out two pieces of pipe cleaner. Then, hot glue your pipe cleaners onto the bottom of your hat. 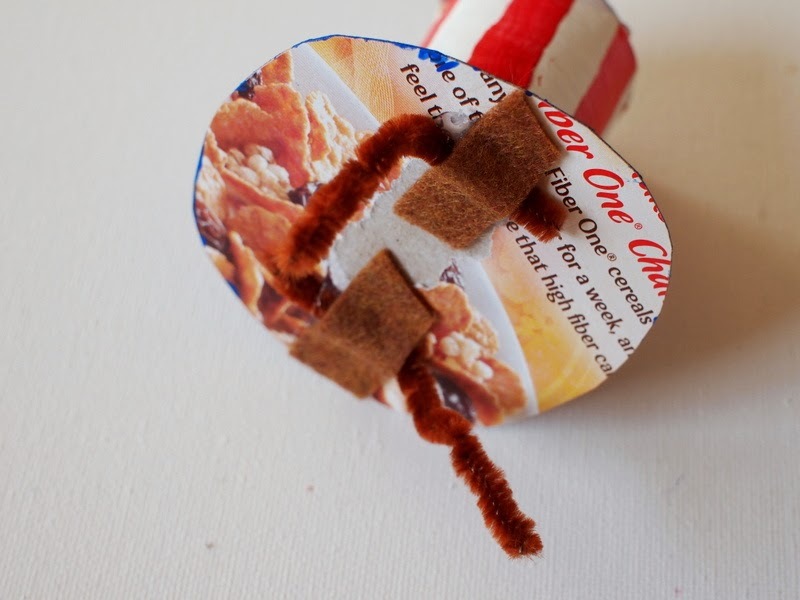 To ensure that your pipe cleaners stay on your hat, glue on two small strips of felt over your pipe cleaner. 8. Twist the pipe cleaner onto your headband and then you're done. 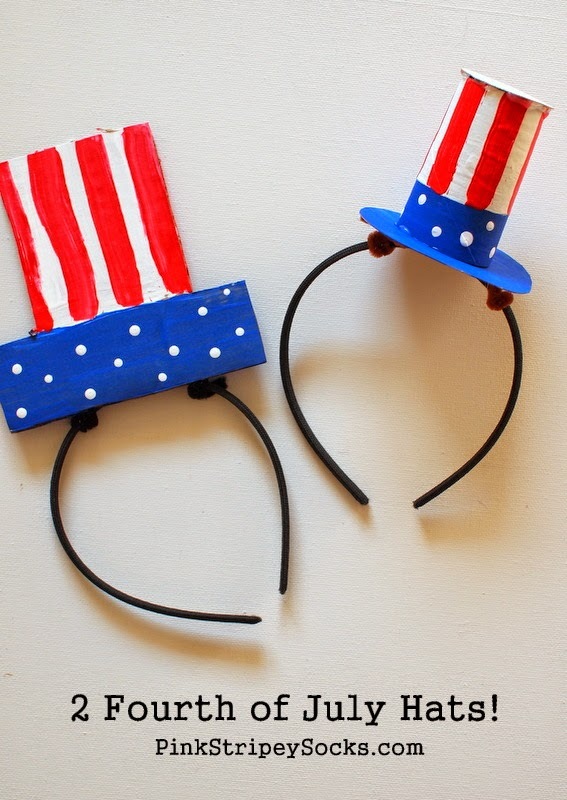 And now you've got yourself some lovely little hats to wear this July 4th. Hopefully you'll have fun trying these out at home. 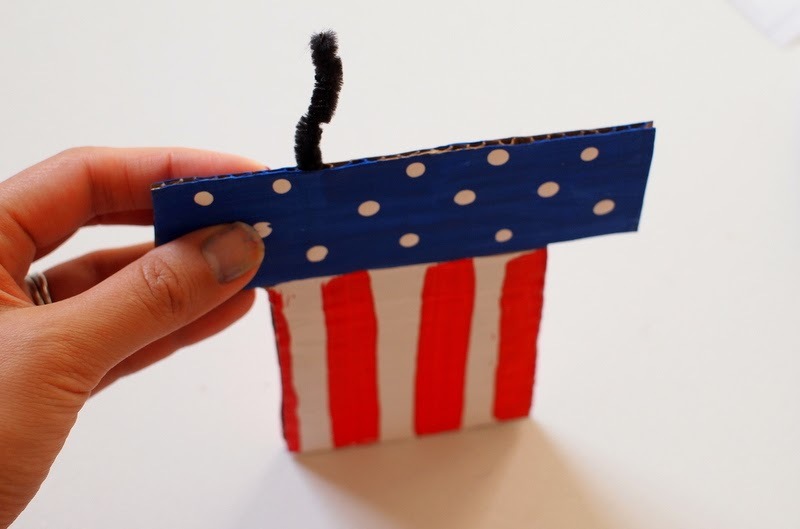 And if you're interested in more patriotic crafts, check out the ones below! And in case you're wondering if you've seen those black headbands before... yes you have! Over the years I've made several holiday headband crafts, all using the same black headbands. Valentine's Day "Arrow through the head"